TIFF 2012 has featured quite a number of high profile films that dramatize love among the former Boomer generation. It turns out that romance doesn’t have to stop at the age of 50. Hardly a revelation to many people but it’s interesting that the news has finally spread to working producers and directors. Michael Haneke won the Palme d’Or at Cannes this spring for Amour, a beautifully realized drama about love at the end of life. Georges (Jean-Louis Trintignant) and Anne (Emmanuelle Riva) are classical musicians and teachers who have spent half a century together. Their quiet, romantic life in a gorgeous and quite old Parisian apartment building is slowly diminished as Anne suffers a series of strokes that render her partially paralyzed and in a serious state of dementia. Even their daughter Eva (Isabelle Huppert) can’t penetrate Georges’ emotional wall as life becomes painfully difficult for them. The performances of Emmanuelle Riva, Jean-Louis Trintignant and Huppert in Amour are extraordinary. Haneke has fashioned a drama of sensitivity and complexity. 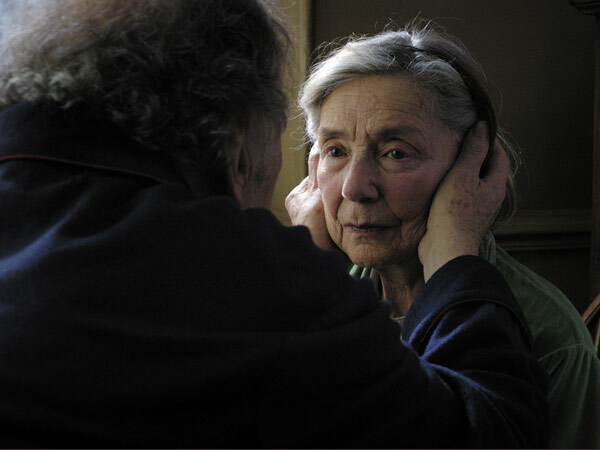 Amour will be a “must see,” when it’s released commercially later in the year and is one of the highlights at TIFF 2012. Still is a love story of two 80-year-olds living in rural New Brunswick. 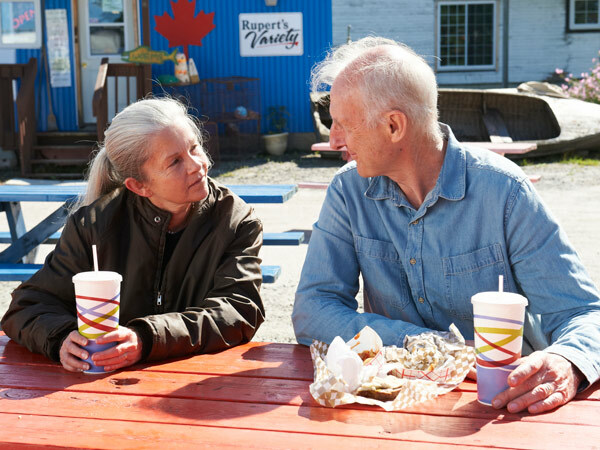 Craig Morrison (James Cromwell) and his wife Irene (Genevieve Bujold) have always worked together, making life as traditional farmers a success. As Irene begins to decline in health and perception, Craig starts to build their dream house. Enter building inspector Rick (Jonathan Potts), who opposes nearly everything that Morrison builds. Apparently, they’re not “up to code.” As Morrison fights the authorities, Irene has to battle her health issues. What the two never lose is their love for each other. Like Amour, Still shows that love never dies despite the age of the romantic partners. Love is All You Need is a Danish romantic comedy by Oscar winning (In a Better World) director Susanne Bier. Wealthy produce merchant Philip (Pierce Brosnan) and hairdresser Ida (Trine Dyrholm) meet “cute”—she smashes her car into his priceless sports vehicle—while they’re on their way to the wedding of their children Astrid and Patrick. After a very skillful set of comic and dramatic scenes, Patrick and Astrid start to seriously question their relationship while Ida and Philip begin to fall in love. Love is All You Need, Still and Amour are very different but quite artful films. In all of them, the love stories highlight older people. Hollywood, look out! A society filled with Zoomers will soon start to demand commercial fare, not just festival films. This trio of TIFF 2012 films signals the start of a new kind of cinema, intended for more mature audiences as well as younger ones.